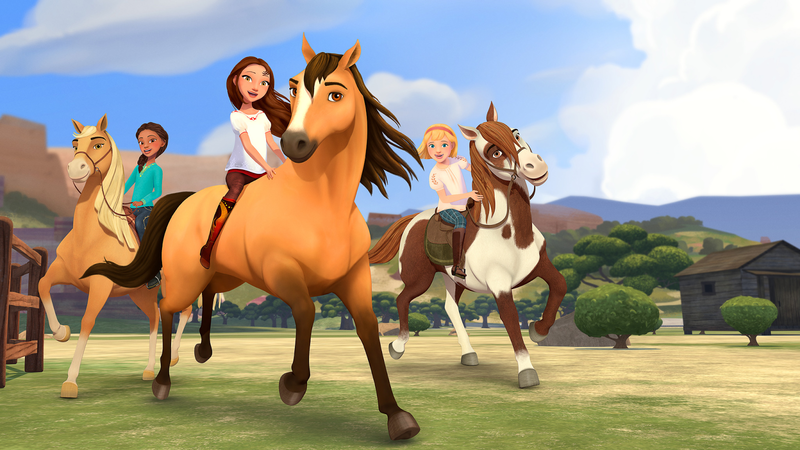 The Oscar®-nominated film "Spirit: Stallion of the Cimarron" introduced the world to a resilient mustang named Spirit, and now it’s inspired a brand new story set to enchant the next generation of fans in "Spirit Riding Free", a Netflix original series from DreamWorks Animation Television, debuting exclusively May 5. "Spirit Riding Free" follows the heartfelt journey of a gutsy 12-year-old girl named Lucky who befriends a wild mustang whom she aptly names Spirit. With her two best friends (and their horses) by her side, Lucky and her friends explore a world filled with endless rides, magnificent horses and and never ending fun! Together they’ll push their own limits, harness the power of friendship and discover what it truly means to be free.